This page, together with the documents referred to on it, tells you the terms and conditions (these Terms and Conditions) on which we supply any of the products (each a Product) listed on our website www.OSUKI.co (hereinafter referred to as ‘the Site’) to you. Please read these terms and conditions carefully before ordering any Products from the Site. You should understand that by ordering any of our Products, you agree to be bound by these terms and conditions. You should print a copy of these Terms and Conditions for future reference. 1.1 We are OSUKI COMMERCE SDN.BHD., trading as www.OSUKI.co and its subsidiaries, associates and officers unless otherwise stated. To place an order with OSUKI you must be over 18 years of age and possess a valid credit or debit card issued by a bank acceptable to us. You shall pay for the Product in full at the time of ordering by supplying us with your credit or debit card details from a credit or debit card company acceptable to us or by Paypal, which we require in order to process your Order. Alternatively, you may pay by any method that we have said is acceptable to us, but in any event we shall not be bound to supply before we have received cleared funds in full. Your payment will be received by our agent, OSUKI COMMERCE SDN. BHD., a company registered in Malaysia (and a company wholly owned by us). Depending on the results of a credit check we reserve the right not to offer certain forms of payment and to refer you to our other forms of payment. 4.10 If you discover that you have made a mistake with your Order after you have submitted it to the Site, please contact customer@OSUKI.co immediately. However, we cannot guarantee that we will be able to amend your Order in accordance with your instructions. 14.1 We shall not be liable to you for any breach, hindrance or delay in the performance of a Contract attributable to any cause beyond our reasonable control, including without limitation any natural disaster and unavoidable incident, actions of third parties (including without limitation hackers, suppliers, governments, quasi-governmental, supra-national or local authorities), insurrection, riot, civil commotion, war, hostilities, warlike operations, national emergencies, terrorism, piracy, arrests, restraints or detainments of any competent authority, strikes or combinations or lock-out of workmen, epidemic, fire, explosion, storm, flood, drought, weather conditions, earthquake, natural disaster, accident, mechanical breakdown, third party software, failure or problems with public utility supplies (including electrical, telecoms or Internet failure), shortage of or inability to obtain supplies, materials, equipment or transportation ("Event of Force Majeure"), regardless of whether the circumstances in question could have been foreseen. 14.2 Either you or we may terminate a Contract forthwith by written notice to the other in the event that the Event of Force Majeure lasts for a period of two Business Days or more, in which event neither you nor we shall be liable to the other by reason of such termination (other than for the refund of a Product already paid for by you and not delivered). 14.3 If we have contracted to provide identical or similar Products to more than one Customer and are prevented from fully meeting our obligations to you by reason of an Event of Force Majeure, we may decide at our absolute discretion which contracts we will perform and to what extent. 15.1 Any notice under a Contract shall be in writing and may be served by personal delivery or by pre-paid or recorded delivery letter or by email addressed to the relevant party at the address or email address of the relevant party last known to the other. 15.2 Any notice given by post shall be deemed to have been served two Business Days after the same has been posted if the recipient address is in the country. Any notice given by email shall be deemed to have been served when the email has been proved to be received by the recipient’s server. In proving such service it shall be sufficient to prove that the letter or email was properly addressed and, as the case may be, posted as a prepaid or recorded delivery letter or dispatched or a delivery report received. 17.1 We shall keep a record of your Order and these Terms and Conditions until six years after we have accepted your Order. However, for your future reference, we advise you to print and keep a copy of these Terms and Conditions, your Order, the Acknowledgement and the Confirmation of Order. 17.2 No failure or delay by us or you in exercising any right under these Terms and Conditions or a Contract shall operate as a waiver of such right or extend to or affect any other or subsequent event or impair any rights or remedies in respect of it or in any way modify or diminish our or your rights under these Terms and Conditions or a Contract. 17.3 If any clause in these Terms and Conditions or a Contract shall become or shall be declared by any court of competent jurisdiction to be invalid or unenforceable, such invalidity or unenforceability shall in no way affect any other clause or part of any clause, all of which shall remain in full force and effect, so long as these Terms and Conditions or a Contract shall be capable of continuing in effect without the unenforceable term. 17.4 You shall not assign, transfer, novate, charge, sub-contract, create any trust over or deal in any other manner with these Terms and Conditions or a Contract or all or any of your rights or obligations under these Terms and Conditions or a Contract. 17.5 Nothing in these Terms and Conditions or a Contract shall create or be deemed to create a partnership, an agency or a relationship of employer and employee between you and us. 17.6 No person who is not a party to these Terms and Conditions or a Contract shall acquire any rights under it or be entitled to benefit from any of its terms even if that person has relied on any such term or has indicated to any party to these Terms and Conditions or that Contract its assent to any such term. 17.7 These Terms and Conditions and a Contract (and all non-contractual obligations arising out of or connected to them) shall be governed and construed in accordance with Malaysia Law. Both we and you hereby submit to the non-exclusive jurisdiction of the Malaysia Courts. All dealings, correspondence and contacts between us shall be made or conducted in the English language. 2.OSUKI Malaysia is operated by OSUKI who is represented by OSUKI COMMERCE SDN. BHD. The Website is operated by OSUKI ("we"), a company registered in Malaysia with the district court of Malaysia under number (1223765-T) whose registered office is (ZP-G-12, Zest Point, Bukit Jalil Highway, BK 9 Bandar Kinrara, 47180, Puchong, Selangor Malaysia. Payments that you make through the Site will be processed by our agent OSUKI COMMERCE SDN. BHD., a company registered in Malaysia with number (1223765-T) (and a company wholly owned by us). direct, indirect, consequential or otherwise. 23. If you enter into a contract with us by submitting an order for a product through the Website which is accepted by us in accordance with our Terms and Conditions, the relevant provisions of those Terms and Conditions relating to the our liability and its limitation in relation to such a contract shall replace the limitation of liability provisions in clause 22.a above. 24. The OSUKI names and logos and all related names, design marks and slogans are the trademarks or service marks of us or our licensors. 26. You may print off one copy, and may download extracts, of any page(s) from the Website for your personal reference and you may draw the attention of others within your organization to material posted on the Website. 31. Contracts for the supply of products formed through the Website or as a result of visits made by you are governed by our Terms and Conditions. 32. We have no control over and accept no responsibility for the content of any site to which a link from the Website exists (unless we are the provider of those linked sites). 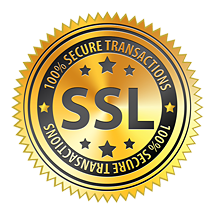 Such linked sites are provided “as is” for your convenience only with no warranty, express or implied, for the information provided within them. We do not provide any endorsement or recommendation of any third party site to which the Website provides a link. 33. You must not without our permission frame any of the Website onto your own or another person’s website. We have furniture for every kind of office and home – from the small to the fully staffed. And everything to make a modern home and modern office run smoothly and efficiently, from desks, storage, chairs and desk accessories. Choose between desks of different sizes and shapes, comfortable work chairs that support your back – and finish by creating a unique storage solution for your needs. At OSUKI our office furniture has great design, smart functions and high quality. And it’s been tested for office use so you can be sure it can take tough days at work – year after year. Sometimes a little help is all you need to turn a dream into reality. Which is why we offer a service to help you along the way purchased online. Maybe you just need a little help, or perhaps someone to do the whole job for you. Either way we’re here to help, and are happy to put together a service package that’s just right for you. Of course, the more you do yourself, the lower the price will be. And the more you ask us to do for you, the more you can sit back and relax! We do all the heavy lifting for you! We’ll packed the products on your ordered list from OSUKI online store and deliver everything to your home or office, prices are based on the distance to your home. OSUKI products are designed to be easily assembled by you. That way, you save the most money.